Ida Kar wrote to her husband, Victor Musgrave "I am becoming a legend". This self-acknowledgement had originated from the attentive and respectful attention her exhibition had received from the Armenian government in 1959. 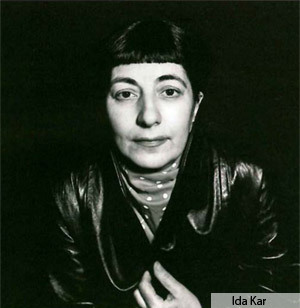 In London, in March 2011 - with the opening of a retrospective exhibition at the National Portrait Gallery - Ida Kar has indeed become a legend in the history of photography. She made a name for herself in March 1960 after her exhibition of portraits of celebrated English, French and Soviet writers and artists at the Whitechapel Art Gallery in London. This exhibition was unique - she was the first female photographer to have a full-scale show at a famous London gallery. 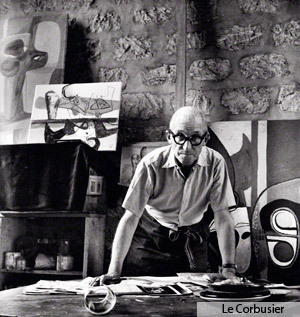 She took photography from being simply a form of documenting to the level of fine art. The show was a huge success. The Victoria and Albert Museum purchased 16 of Ida's large black-and-white photo portraits, and the British media lauded her. Her success was not only due to her inherent skill but also her relentless energy and high artistic values. Ida had a knack for attracting people with her conversational skills, exotic charm, and talent for cooking and entertaining. Ida Kar was born in Tambov, Russia in 1908 to Melkon and Anahid Karamian. Ida's father was an intellectual who spoke fluent Armenian. Russian, French, English, Arabic and Farsi. He took his family from Russia to Alexandria in Egypt when Ida was 13 years old. She continued her education at the Lycee Francais in Alexandria, and in 1928, with her father's encouragement and support, Ida traveled to Paris to pursue studies in medicine. Once in Paris, however, Ida spent her money on singing and violin lessons. Through her friend and lover, a German surrealist painter and photographer named Heinrich Heidersberger, Ida met many influential people such as Yves Tanguy, Piet Mondrian, Man Ray and Suzanne Devechaux-Dumesnil, who later became the wife of Samuel Beckett. Her visits to galleries and cinemas stimulated her interests in photography and her frequent attendance at Parisian parties developed in her a sophisticated taste of the Western lifestyle. After four years in Paris, Ida returned to Alexandria and started to work as an assistant at a photography studio. 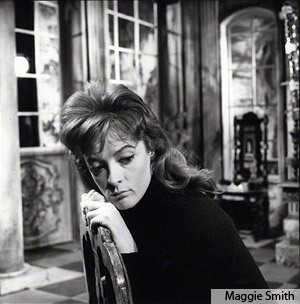 In 1945, she married Victor Musgrave and moved to London, where she and Victor ran Gallery One in Soho and led a bohemian lifestyle, which inspired her approach to portrait photography. Each of Ida's photographic portraits is an interpretation of the character of the sitter that, according to contemporaries, was being captured by Ida conversing with the sitters and creating a certain atmosphere for them. Most of the portraits she created include a matching background which interprets the inner world and the life story of the sitter. Ida's every photograph is a story without words. If Ida were alive today, looking at her own perfectly organized retrospective show at the National Portrait Gallery, she would have witnessed herself truly becoming a legend.